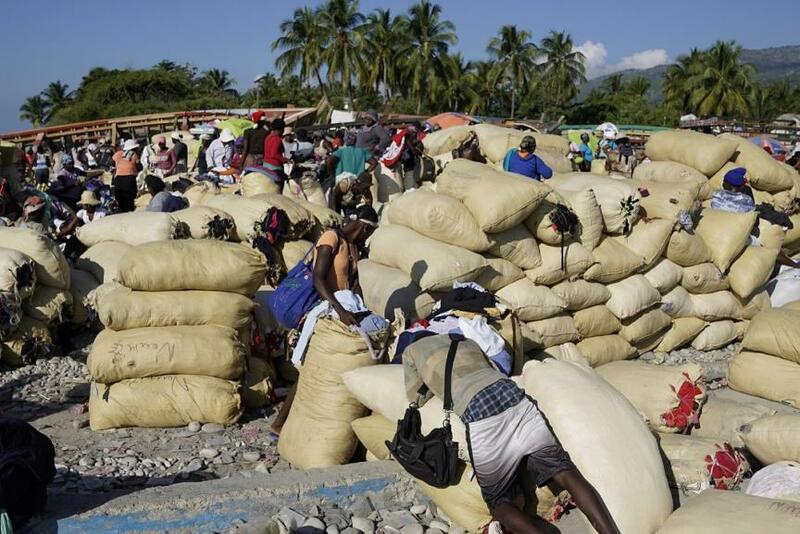 Home > From Aid to Trade > Haiti Aid – What the Media Didn’t Tell You! In the wake of January 12, 2010, a massive earthquake occurred in Haiti. There was a huge crash in the economic activity of the country. They lost over 8 billion dollars as their GDP (gross domestic profit) which impacted negatively on both small and large businesses in the country. Foreign aid flew in mass from developed countries to lend out helping hands to a falling nation. They did try their best, but their help still came with unintended consequences. Gradually, the foreign aid eroded opportunity for small and large businesses to thrive in Haiti. Doctors outside Haiti came in with facilities, set up their tents and started offering free health care for the injured. There was a newly completed private hospital before the earthquake, but it quickly went out of business because the foreign doctors failed to synergize with the local ones. A local soap company in Haiti controlled by a friend was a family business that makes locally made soap completely crashed due to foreign aid’s $ 50 million worth of soap and soap substitutes in the soap market in Haiti all at once. Another businessman who sells over the counter drugs planned on producing hand sanitizer, but all that hope went down the drain when foreign aid agencies made hand sanitizer available for free. Any product that comes to mind was made available by an NGO for free. You can’t compete with free!!! The quantity and quality were lacking in the products of a local manufacturer, so they want to buy more quality products from outside the country. They thought that business owners were not communicating enough. That their delivery time was inappropriate and it’s not meeting up to standard. It graduated to a point where the opinion of people about the foreign aid became polarized, with some people becoming a proponent for the international assistance while others castigating the idea of having foreign aids in Haiti. In the heat of the earthquake, developed countries made a contribution of over 234 billion dollars to be used by developing countries. But unfortunately, only 1% of this donation was able to trickle down. The USAID donation for relief materials and economic aid, only 1.65% got to Haiti. Already a proof that foreign aid is limited to achieve its goals since most of its resources never made it to the intended countries. Those are facts; not opinions. In the last 20 years, the lives of over 1 billion people have been improved in various developing countries mainly business of private investment while countries like Haiti are still attached to foreign aid. A relentless and deadly strategy. Let’s do a quick comparative exercise between Haiti and the Dominican Republic – a neighbouring country on the eastern part of one island. When Haiti suffered a substantial economic downturn due to the colossal hit of hurricane Hazel that occurred in 1963, the red cross came to lend their support. This brought about the influx of NGO from various parts of the world and Haiti saw it has modelled for survival in the wake of natural disasters. The Dominican Republic is also not immune to these disasters, but they went back into their boardroom and made concrete plans on how to survive and awaken their economy. So they developed their local businesses through private investment, which later bear good fruit in the development of their economy. In 2017, Haiti released a budget of 2 billion dollars while the Dominican Republic released a budget of 17 billion dollars. What an enormous difference. Haitians now are looking for work in the Dominican Republic, a clear sign that Haiti’s choice to hang on to foreign aid failed while the DR succeeded. Carefully considering the situation of these two countries, they both faced disasters. Just two different paths, two different strategies, and two different results. Simply their choice of economic development is different. The moral of the story; business and private investment work while foreign aid doesn’t. With this similar report, the question that keeps coming from NGO is: What can we do? Here are some answers to this question that will duly guide them on how they can help resuscitate local business operators in Haiti. Embrace the local system by buying as much as possible from local businesses. They should connect them to private investors who will contribute to expanding and growing their businesses. Haiti is not alone. Many other countries in the world like Guatemala and other countries in Africa are also suffering from the influx of foreign aids which comes in varying forms; this comes with two eventualities. These are casualties to giving away aid. They prevent new business from being created. The foreign aids cluster up the few entrepreneurial spaces in the country. They also compete with the existing business in the country. Leaving no space for indigenous entrepreneurs to be successful. These facts attest to the reason why, a country like Haiti would not be successful, owing to the fact that they have much of these obstacles and challenges in their economy. There is no country that has made it successfully through political instability. Poor countries such as Nigeria, Haiti, and Iran are corrupt, scoring the worst in the corruption index. This shows that there is a thin line between corruption and economy development. Foreign aid is not a long-term plan for economic development, it primarily serves as a short-term plan that helps country gets back on track after a natural disaster, economic drought. It was never meant to be a measure to restore a poor country in the long run. No country has made it out of foreign aid nor that has existed or will ever exists. Since they have a lot of resources at their disposal, and they are here. The first thing they should do is stay away from the entrepreneurial space and give an opportunity for a local entrepreneur to gain ground and experience. Four primary categories describe an entrepreneurial opportunity. A demand follows the need. People need a purchasing power, to buy the goods and services they want. There must be enough frequency for the product you’re selling, that is when people will consume your product and thereby sustaining private investment. The cost per unit of the product made needs to be inferior to the price of the product. This occurs when the gain from making a product is lower when an individual is pursuing other things. When all these measures are present, NGOs need to move out of the entrepreneurial space and allow private investment to come into the picture and acts profitably and satisfactorily. One more thing NGO should watch out for is the fact that, if these four criteria is not met they should come in and offer help in that particular sector and get out as soon as those conditions are met. The blatant truth is that most poor countries like Haiti are jobless; 70 % of people with Haiti are jobless and this problem will continue to fester when we don’t make use of our local market, goods, and manufacturers. Countries like the United Kingdom made the highest earning in foreign direct investment this past year. The European countries also made a 21% increase of the foreign direct investment. The OECD countries made 6% jump in foreign direct investment. The Dominican Republic also did well in the area of foreign direct investment compared to Haiti. When we compare these statistics for the two system (i.e., Haitian and the Dominican Republic), it is obvious something is wrong here. Latin American countries knew that creating more private investment will increase the living standards of their citizens. It is essential to remember that private investment leads to business creation and business creation brings forth job creation and income generation. That leaves us the developing countries with the question, how do we create more jobs? Pretty simple bring in more foreign direct investors who will build more businesses and in the end there will be enough jobs for everyone. Former US president Ronald Reagan said that “the best Aid a country can get is JOB! ; that reality still pervades today, especially for developing countries like Haiti. It’s the best time to make a few plans for the long run and it’s time to be happy. I’ve learn this submit andif I could I want to suggest you few attention-grabbing issues or suggestions. Hello There. I found your blog the usage of msn. This is a really smartly written article. I’ll be sure to bookmark it and return to learn extra of your helpful info. Thanks for the post. I’ll certainly return.